I've applied a conditional build tag (Not_for_web) to some content in a topic and also to a TOC entry in a project. I see the overline that indicates the tagged content. 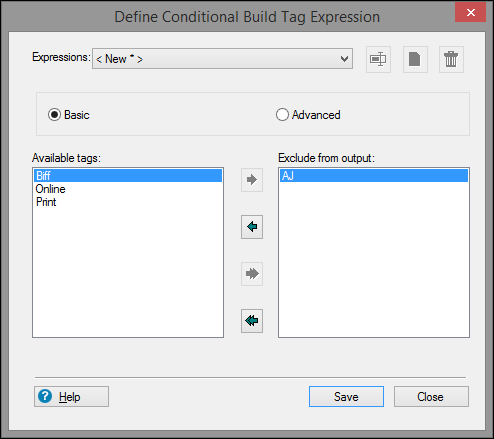 I defined a build tag expression (user_site) that excludes Not_for_web tagged items. But when I generate output, the tagged content is included. Is there an output setting that says to use the tag?